How can I get to Venice? You can fly into Venice Marco Polo airport or you can also fly into Treviso airport if you are departing from another Italian or european city. To reach Venice from the airport you can either get a water taxi which will take you directly into the centre on Venice or you can catch a bus which will take you to Venice's central bus terminal from here you can walk into the centre. TOP TIP If you opt to take a water taxi it costs around 100euros from the airport to the centre. The cheapest option is not to pre-book but to catch one at the airport as they are competitive on pricing, the more people the cheaper it will be as you can split the costs. The rail network in Italy is fantastic, we travelled from Naples to Venice by train. From the train station it was a ten minute walk to our hotel. 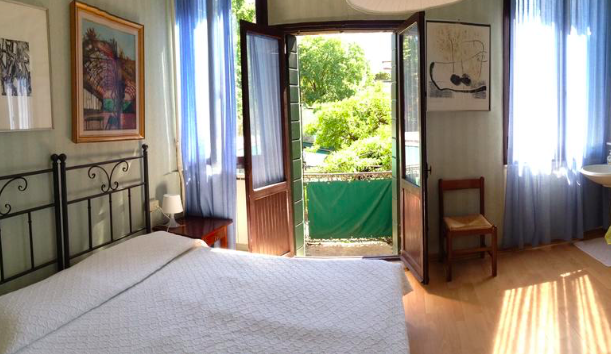 Where can I stay in Venice? We stayed at the Antica Locanda Montin. It was located on a quiet side street next to the canal in a quiet residential area. It is only a 15 minute walk from the bus or train station to the hotel. What was great about the hotel was that it was family run and very traditionally decorated. The hotel is family run, the brothers are keen fishermen so most days the specials at the hotel restaurant will be what was caught on the day. Surprisingly (for a hotel restaurant) it had a lot of charm, reasonable prices and was very popular with the locals. How can I get around Venice? There is no vehicle traffic as there are no roads in Venice which is quite refreshing. The best way to get around is by foot as there is so much to explore and each narrow alley is worth exploring. The price of a Gondola ride in Venice varies depending on what time of day it is, who the driver is and where you have boarded the boat. Most Gondola rides are either 20 minutes or 40 minutes long. TOP TIP - Board a gondola in one of the quieter parts of the city away from the canal grande and it will be much cheaper than catching one on the main drag. 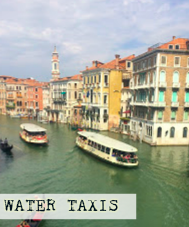 You can also grab a water taxi if you fancy travelling on the water, there are also water buses and you will see the signs at the end of the little piers across the city. 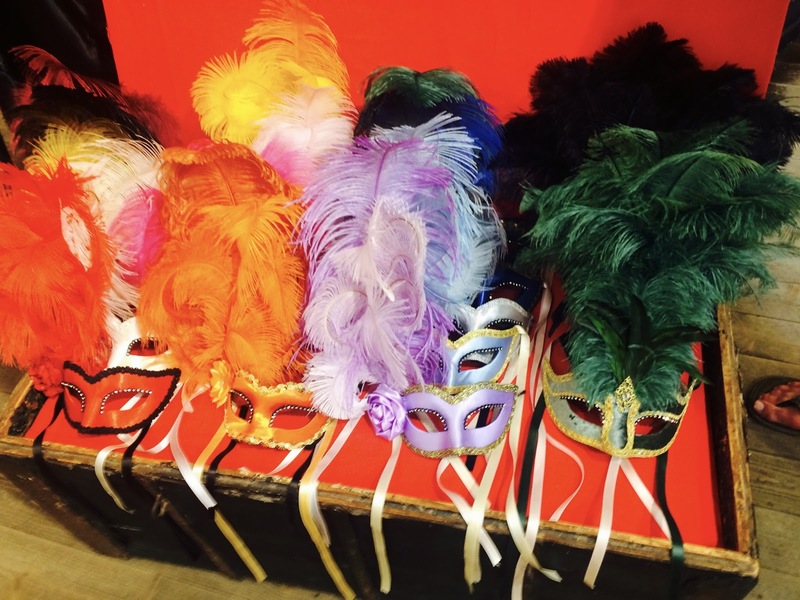 What's good to do in Venice? As silly and simple as it sounds walking around Venice is amazing in itself. The not knowing where you are but not feeling lost as you can follow the water is brilliant. Wander around the alleys, a few may take you to dead ends put that's all part of the fun. What's good to eat in Venice? CANNOLI'S and seafood. I never even knew what a cannoli was until I visited Venice and it really was one of those moments where you think WOW how did I not know until now that these existed? !They are a small croissant like pastry filled with either white chocolate or nutella. There are small delis and pizza shops dotted around Venice so you can pick up a snack along your travels. As for dining out in the evening there is plenty of choice. 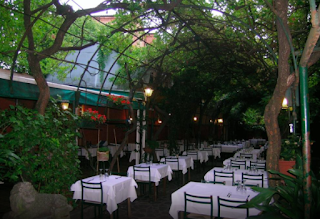 We chose to stay local to our hotel most evenings as there was a fantastic selection of rustic cosy restaurants in the area such as La Bitta and Osteria Enoteca Ai Artisti which I would recommend. What's good to buy in Venice? Paintings, leather handbags and beautiful hand painted Venitian masks. You can barter for everything so if you see something you like but the price is a bit high return later in the day and they may gave you a discount.